Obama is showing his face again on National TV trying to blindside American taxpayers once again. He wants to raise the “debt ceiling,” and really doesn’t want to consider a short term increase. Raising the debt ceiling, even for the short term just prolongs the agony for taxpayers! Obama, pretty much says raise the debt ceiling or else and tosses out a threat to Americans predicting that financial markets will fall apart at the seams if the debt ceiling isn’t raised. Republicans want very substantial reductions in spending and DEMS won’t budge until the wealthy receive a sizeable tax increase. What we have is a political standoff, but Obama assures us that Republicans and Democrats have made progress. We’ve heard that old tune many times before! Our White House resembles a junk yard with the big dogs biting each other on the fanny as they search for a few ragged bones to throw to Americans. Obama’s meeting this Thursday will be nothing more than a closed door Texas Hold’em poker game. If the Republicans had any backbone they’d turn the tables on the Obama Administration and put this meeting on C-Span for all to observe; but that’s not about to happen. Neither, Republicans or Democrats are too concerned, but they’ll posture and grimace trying to convince Americans that they really care about us and they’re going to give us our Country back in the distant future when it’s been totally trashed. Stage left will be Bernanke and Geither preaching their doom and gloom and promising all “Hell” will break loose if ole Ben doesn’t get to print more fake monopoly money. Geither will probably quickly step down after the debt ceiling negotiations are completed and that would be just great for all of us. Ben Bernanke, should have been removed way back in 2006 and before when he blindsided all of us by assuring America that Freddie and Fannie were stable and without major financial problems. Ben just keeps hanging around tightening the noose around our necks – he’s one bad egg meaning rotten to the core. Obama’s Administration is starting to lose key players and they’re packing their bags and high tailing it out of town. Joe Biden’s economic adviser left while the getting was good! The chair for the President’s chief economic adviser (Austan Goolsbee) grabbed his lollipop and has let everyone know he’s not about to continue wallowing in the Obama crap. That’s not all folks the Federal Reserve is missing several key players – it’s beginning to look like a mass exodus; we all know Jeff Goldstein is chomping at the bit to kiss the White House goodbye. Jon Huntsman (Ambassador to China) understandably left the first of this year as he had bigger irons in the fire. Don’t forget Robert Gibbs, the one who some called the Press Secretary – he’s done gone and probably hanging around on Obama’s coat tails helping on the 2012 campaign. It really doesn’t make much difference where he went – not many of us have missed him. Obama doesn’t realize his chess game is beginning to look a lot like a Chinese checkers because he’s out making lotsa, lotsa money for his Presidential campaign in 2012 and too busy to perform the duties of a President. Joe Biden’s probably seeing the writing on the wall, “Obama no longer needs him or should I say Joes has been rather troublesome to his Administration, Joe’s disappearance won’t be a voluntary resignation – Obama’s team already know who’ll be replacing Joe. Obama will no doubt raise the billion dollars for his 2012 campaign, but many hitches and glitches are appearing on the horizon that not even the corrupt can handle. The years of lying and deception to Americans is taking its toll on the one some call Obama – his face is starting to look like a Halloween Zombie. He can no longer hide behind designer clothes and makeup. Many Democrats and other key players in his Administration realize that Obama has misused, gouged, and abused them as he travels the path of “redistribution.” They’re jumping ship before it sinks in 2012. Americans are tired of the “cheap seats” handed to us by Obama; we have grown weary of his games and political dialogue. For those who ooh and awe about his recent photo ops this week concerning Osama Bin Laden, Ground Zero and his speech to our Military at Fort Campbell, remember his track record since 2008 ranges some place below disgusting and evil. It’s hard to believe that Obama is truly engaged with Americans. iftar dinner at the White House kicking off the Ramadan feast when he spoke to Muslims about the controversial mosque. During the iftar dinner, in one of his “let me be clear” blurbs he said Muslims have the right to build a mosque along with a community center on private property in lower Manhattan providing they follow local laws and ordinances. Obama once again refused to stand beside the 911 victims and their families, pretty much telling the Muslims build wherever you want to build as long as zoning laws are followed. He rambled on in the rest of his speech patting the Muslims on their fannies raving about their citizenship and applauding their mosques in 50 states. My question is simply this, “where were these courageous Muslims during all of the terrorist’s attacks and most recently the killing of Osama Bin Laden?” They’re either with us or against us! It’s difficult to believe in Obama’s sincerity or concern for the 911 families, because his only stop at ground zero was during his campaign of 2008. How must the 911 victims and first responders feel that the President of the United States has neglected them until the brief drive by on Thursday? It would appear his brief visit to ground zero was a last minute idea that his Administration conjured up – Donna Marsh O’Connor saying his visit was fine but the mysterious way it was planned was pretty much problematic and divisive. According to many news sources the Obama Administration sent out 50 form letters to a handpicked 911 families inviting them to meet him at Ground Zero. John Vigiano, lost two sons on 911 and although he welcomes Obama’s visit he views it as another photo shoot. Debra Burlingame’s brother Charles was the pilot of the plane that crashed into the Pentagon. Debra was pleased that the Navy Seals mission to kill Osama Bin Laden was successful, but when she confronted Obama about the CIA agents who are being prosecuted over their interrogation of mastermind Khalid Sheikh Mohammed, he merely turned his back on her and walked away. All Debra wanted was Obama’s sincere heart felt opinion about the CIA agents who are being prosecuted. His actions shouldn’t surprise anyone, because he’s not a decision maker but prefers straddling the fence in an effort to once again win the 2012 Presidential campaign. Is it strange that Americans feel they’ve been relegated to the “cheap seats” and forced to watch R-Rated Obama movie starting Sunday night with the announcement of Osama’s death? 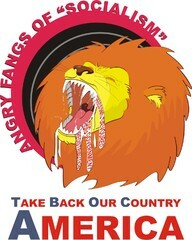 Too many Americans, the events of the past week have been merely to jump start Obama’s 2012 campaign. There are many of us who remember Obama’s lack of engagement during the terrorist attacks including the Fort Hood assassinations, which have pretty much been swept under the carpet. We know his stance on the Mosque at Ground Zero and the 911 victims most of all realize that the form letters sent to 50 of the 911 families was a blatant slap in the face. His refusal to talk with Debra Burlingame about our CIA agents who are being prosecuted only confirmed the fact that this man many call Mr. President has truly been AWOL since January 2009. Americans will be left with many unanswered questions as they struggle in this recession as the employment rate is on the rise again. Inflation has trickled down affecting consumers and literally deflating their hopes of better times. Did he use this week’s current events to be the backdrop for his 2012 photo ops? Did it really take him 16 or so hours to make a decision about the Navy Seal’s mission to kill Osama? Did he even know about the Navy Seal Mission until it was well underway? Why did he want Guantanamo Bay closed? Why did he want terrorists tried in our USA? Why didn’t he stand up for the 911 victims about the Muslim Mosque at Ground Zero? The Muslims chose America as their country of choice and Obama clambered to be the first African American President of our Nation, why don’t the Muslim people and the Obama stand beside us in our fight for freedom? David Plouffe is the ringmaster and Obama’s the clown dressed up in designer clothes with magical bouncing balls and a teleprompter. Messina is the elephant trainer. The Plouffe, Obama and Messina circus is merely a repeat of 2008. Nothings changed and nothing new! In 2008 Plouffe and Axelrod implemented two things in preparation for Obama’s campaign – they canned the message of “Hope and Change” threw in a bunch of dreams for those who believe the world owes them a living. They played on our youth’s sympathy and patriotism creating a false mirage of the American Dream enlisting them as the saviors of our Nations. Simply put, Plouffe and Axelrod treated them like 5 year olds asking them to be student of the day and help their teacher. They knew that youngsters love to show their muscle, so they asked them to defy their parents, their grandparents and be a part of the new world of ‘hope and change.” They understood that in our high tech society the youth of today exist entirely on three sources of information, Facebook, Twitter and You Tube. What you see and hear is what you get kind of attitude! For the Latinas, African Americans and many women, they merely created an R-rated movie called “Poor Me” emphasizing the plight of the Underdog and tossed in vile language, tales of abuse and of course the Race Card was the heroin. Basically the 2008 Obama campaign was nothing more then a package of “nothing” wrapped in beautiful paper with several silk bows. But, that elusive package of “nothing” was enough to turn heads and get votes. For many thought the elegant package was filled with the awesome promises of “hope and change,” and they were willing to sell their lives to the devil to own the package of nothing. So in 2012, Obama with the able assistance of David Plouffe and Jim Messina, Obama is still running on “hope and change,” but under false aliases. Hope has been replaced by the word sacrifice; Obama is asking Americans once again to let him redistribute their money and insisting that the wealthy will pay his way this time around. He refuses to discuss his first 2 ½ years when Americans sacrificed 3.7 trillion dollars, over 12 million Americans plus their family members have lost their homes and about 20 % of working Americans are unemployed., He has the arrogance and guts to put the monkey on Americans backs once again!. Change has been replaced by two words, shared responsibility merely meaning that everyone must do more and expect less. Now that’s a mouthful, Americans have already handed over everything but their underwear to the one some call Mr. President. Once again, the 2012 campaign will focus energy and millions of dollars on our college students, our Latina friends and our African American community, the same strategy used in 2008. As I stated earlier, nothing has changed. The message for 2012 has been canned replacing hope and change with sacrifice and shared responsibility. Plouffe (Obama’s senior adviser) and Messina (campaign manager) are perfectly contented running the Obama campaign using Facebook, Twitter and You Tube venues. Obama with trusty teleprompter will be bouncing around creating distraction and division of our troops. The big question remains can Obama, Plouffe and Messina sell “Snake Oil” to Americans in 2012 the same way they handed it out for free in 2008? Only Americans can answer this question. The three are betting their careers on 2012 being a slam dunk because many Americans are still under the hypnotic powers created during the 2008 campaign and are most comfortable in the illusive magical world of Obama. The 3 ringed circus has made its debut for the 2012 campaign early; Obama is using taxpayers’ money to finance a lot of this campaign. How do I know, it’s pretty simple to see that he’s not spending time in the White House balancing the budget, honoring transparency and creating jobs. He’s been AWOL since November 2008 and now for the next 1 ½ years, Obama will focus on the 2012 campaign. Nothing changed, business as usual – Republicans and Democrats have been hung out to dry with nothing but a fig leaf for cover up. Some say it really doesn’t matter where Obama was born, nor does his past have anything to do with his position of President of our United States. What an illogical way of thinking! Well folks it does matter for he doesn’t love our Nation, nor does he love Americans – he’s made that very clear in many of his delusional speeches. Today, after the past three years, it appears he’s producing a birth certificate, which may or may not be legitimate. The millions that he’s spent to hide his past, including his birth certificate tells us loud and clear that Obama doth protest too much. If one should try to find out where this man has been from 1961 to present, you will find nothing but a covered maize of conflicting information. What do Americans really know about this person, they call Mr. President? The little bit of information that has leaked out portrays him as a very poor student his first 4 years of college but he miraculously ended up in Harvard. Don’t try to find any articles that he wrote for the Harvard review, because you’ll be totally disappointed. Let’s fast forward to Illinois where he participated in a bunch of shenanigans with Alice Palmer and with Palmer’s able assistance, Obama ran for the Illinois Senate unopposed. During his interim as Illinois Senator he straddled the fence voting present while making his next strategic move into the White House as Senator. His short interim straddling the fence and voting present in the White House was another total mess and a repeat of his time served in Illinois. So now we have a below average student who failed dismally as Senator in Illinois and the White House showing little if any administrative or executive talent mysteriously ushered in as our President in 2008. America, this shows all of us that money can buy the Presidency! His speaking ability along with his teleprompter were the only two things he brought to our table in 2009 – at that time we handed over our savings account, our bank accounts and our tax money to a total stranger without a past. Under Obama’s watch our National Deficit has increased trillions of dollars, our borders remain unsafe, millions of jobs have been lost, millions of homes repossessed along with a healthcare bill (an albatross around our necks,) Oil and food prices are exorbitant and inflation on the rise. The “fat cats” and crooks are the only ones who have benefited from his interim as President. You’ll find it impossible to find a reform, bill or idea of Obama’s that has benefited our Nation. Even the left news media and some Democrats are struggling with this stranger’s ideas and flip flopping behavior. He’s dropped the Democrats on their heads so many times, they probably need brain surgery – he’s incapable of supporting his very own team and he’s incapable of leading our country. A man who hides his past is a man who has something to hide – you can run Mr. Obama, but you can’t hide! We want our country back. May God Bless America and May he gives us the wisdom and courage to remove you from office. Where is our employee Obama? Why did he place us in the Libya war without asking our permission? Why does his 2012 budget increase the Nation Deficit by trillions? What doesn’t he understand about these three words, “STOP THE SPENDING? This tour must be another Plouffe Spoof, because no logical person would send Obama out to educate the American people on fiscal responsibility, spending and the National Deficit. We’ve have the “Hopey Changey” loonytoon jammed down our throats for 3 ½ years; our only hope is to remove him from office and our change should be removing the corrupt from our Government. The Obama dictatorship has made the natives restless; we’ve experienced his redistribution to Unions, corrupt lenders, auto bailout, and billions in bonuses used by three of the most corrupt businesses in our Nation (Freddie, Fannie and AIG.) Frankly his dirty laundry list for 2009 and 2010 is too lengthy to write about today – it would fill several books. Obama doesn’t intend to reduce our National debt, only add to it to via the war in Libya, more money to Soros and Petrabra and Obama friends which is over 1 trillion more dollars of taxpayers’ money. Bottom line, Obama is basically running the same campaign as 2008. He’s playing to the young people, Latinos and Liberalists hoping they’ll once again buy into his false promises and lies so he can continue his agenda of redistribution. Obama, “We the people of America know how to budget and cut the National Deficit.” Our problem is unauthorized spending by the President of the USA; you snatched our credit card and handcuffed our businesses large and small by Obamacare and the threat of raising taxes on those incomes over 250,000. Your Presidential campaign isn’t going to be an easy ride, because you’ve placed our Nation in peril. Playing on American’s sense of Patriotism won’t work the second time around. Americans, it’s time for Obama, the Democrats and the Republicans to do the sharing; their responsibility is to ruthlessly cut the National Deficit and balance the budget without raising the debt ceiling.